Anna Lelyuk deals with all aspects of private family law and in particular those where there is a financial dispute or issues relating to children. She handled numerous divorce cases involving property division, child maintenance payments, alimony payments, child custody and visitation rights. She has significant expertise in complex children cases including those concerning cross border disputes. Anna also has substantial experience in advising on assisted human reproduction, regenerative medicine, fertility and surrogacy and serves as a legal advisor to Ukrainian Surrogacy Solutions, a Kiev-based gestational surrogacy agency. In that capacity, Anna has unrivalled experience in advising clients on all aspects of Ukrainian surrogacy arrangements and cross border parenting. Vladimir Lukovich joined the Ukrainian Family Law Group to meet the needs of our growing English and German-speaking clients. Vladimir focuses particularly on negotiating the financial aspects of divorce cases involving complex financial issues with high value assets, separation and preparing pre-nuptial and post-nuptial agreements. These matters often have an international element and, with pre-nuptial and post-nuptial agreements especially, Vladimir often works with lawyers in several different jurisdictions. In cases of surrogacy involving foreign couples, Vladimir is responsible for drafting and filing all required consents, surrogacy agreement, immigration forms. She assists intended couples and surrogate mothers throughout the entire process on a day-to-day basis. Yaroslav Nikolaichuk helps manage surrogacy cases within the fertility and parenting law team, working alongside Anna. He also works closely with Ukrainian authorities to file required paperwork and obtain all the necessary documents, including birth certificates, in a timely fashion. 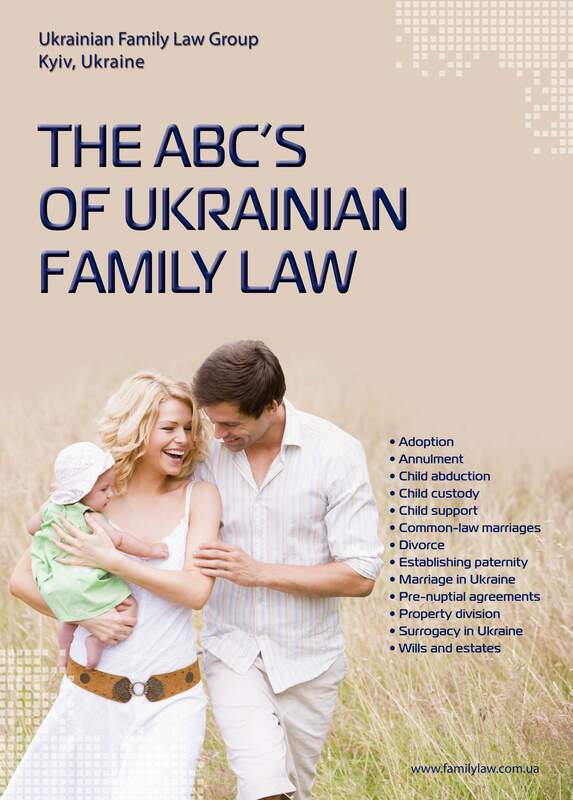 Roman Gonchar has almost 13 years experience of handling family law cases before the Ukrainian court system. He has assisted with accurate background information in numerous child abduction cases, as well as effectuating Ukrainian and foreign judicial orders regarding property division. Volodymir Ivasiuk has nearly 15 years’ experience with probate matters in Ukraine. He also has extensive experience working with the Ukrainian judicial and immigration authorities, the Prosecutor General’s office, as well as customs officials.